Being a single working mom of twins and a teenager means I often put myself at the bottom of the to do list. Whether I’m playing chef, chauffeur, bandager of boo boos or homework advisor, the hat I put on least often is woman. As a married working mom, I practically forgot I was a beautiful woman and wife. As a single working mom, I struggle to embrace myself as a confident available woman. Focused mainly on carrying my family through the days, I forget that taking the time to focus on myself every once in awhile ultimately makes me a better parent. Here are some fun self care tips for working moms that could spark that little feisty woman you know is in there but haven’t seen in forever. 1. Boudoir Shoot: Yup. I’m certain a great many of you just went “Yeah, right. Thanks for nothing.” WAIT! Seriously…I know this is what I do for a living, and I’m not listing this one at the top of the list as a shameless plug. I’m listing it at the top of the list because of the why behind what I do as a photographer. Our tagline at Modern Femme Photography is “because you deserve to feel beautiful.” A boudoir shoot is a fabulous way to celebrate and embrace your unique journey as a woman, be pampered, but most importantly, be reminded that you are beautiful, just as you are. And because it’s important to practice what you preach, I hopped in front of the camera a couple of weeks ago as part of a two-session process I’ve planned to reclaim my confidence and self-worth as a newly single woman. 2. Support Group: We have a great online community growing at Working Moms United that gives support and encouragement at those low points where being a work mom chips away at your energy, self-esteem and willpower. It’s a wonderful resource for moms on-the-go who need a pep talk but can only pop online here and there or might not have available time to meet up with others. I’ve also recently joined a local church and have been attending their quarterly women’s brunches. They provide child care for a few hours while I sit and chat with other women, feel refreshed and feel supported in prayer as a woman of faith. I’ve also identified a few key accountability partners in my life. Girl friends with similar life circumstances who can serve as trusted encouragers and keep me on track. 3. 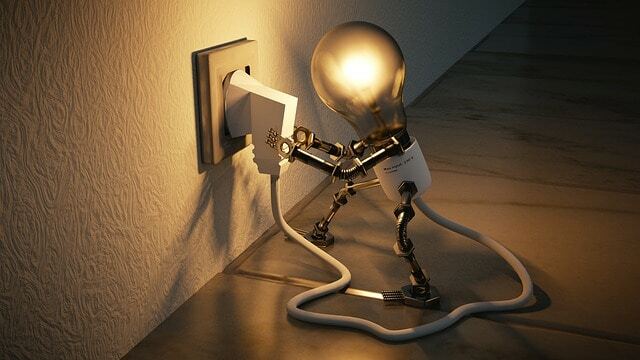 Learn Something New: Switching up the routine and enjoying something fresh and new can be a great way to recharge. Recently, I booked a makeup lesson with Dhalia Edwards of The Bride’s Corner. Dhalia is not only a dear friend of mine, but she’s incredibly talented both in her technique and her warm-hearted care of her clients. She patiently took 3 hours of her day to sift through my old, dated make up, repurpose old tools for new styles and teach me proper application techniques for everyday looks. Not only did I feel pampered and pretty when I left, but I felt rejuvenated and more confident in how to achieve a flawless look on my own. 4. Schedule Quiet Time: Spare minutes are a hot commodity for the working mom. Every second of every day feels tied to a never-ending to do list that typically revolves around everyone other than yourself. You need to make a choice to declare a bit of each day for yourself. Whether it’s 5 minutes, 20 minutes or the luxurious full hour, diligently schedule quiet time. Take the time to breathe in the quiet, write in a journal, pray, speak out gratitudes, do a few yoga stretches…whatever your peace may be. Do not allow yourself to skimp on this part of your day. Remember, the first step towards being a better mom is being a better you. That better you needs some TLC! It may feel overwhelming or even scary to put any of these self care tips for workings moms into practice, but trust me, you’ll be glad that you did. Remember the positive, reclaim your beauty, refresh your soul and recharge! These are great tips!! You look AMAZING in all the pictures! I am going to go check out working moms united now! 🙂 Have a wonderful week! Love the pictures! 🙂 They look beautiful! Great tips too. 🙂 You look so happy and I am glad you are doing what makes you feel good and happy. Thank you Becka. I love how you put it – “what makes me feel good and happy” – amazing that I hadn’t been doing that for so long! Fantastic tips, Katy and you look FAN-FREAKING-TASTIC! HI. I’m Caryn from Pretty Wellness. I found your blog from the Merry Monday Linkup Party and think it is fabulous. i really love this post on taking care of yourself. I’m following you now, too. Thanks Caryn! So glad to meet you and link up. Have a great week! I’m a single working mom of young twins as well. I definitely agree with #3- it is so important for me to have some quiet time to myself! I’ve had friends ask me why I don’t just sleep in a little bit instead of getting up early to have time to myself every day… They just don’t understand how vital it is to my well-being! I know exactly what you mean! Waking up early and having those few moments of absolute silence in the house are pure gold. Danielle @ Where's the Mama? Oh my gosh, how do you do it?! I’m a SAHM of two, but I often wonder how single moms do it. You’re a super woman. I love that support group is on there. Networking with other moms is the best thing that ever happened to me. Great job! In today’s world, technology is everywhere from our kitchens, to our offices, to our cars. We use smartphones every day not just for work, but also for play. Maybe you’re reading this article on your phone right now. Some moms are worried about the impact of such widespread technology on their kids’ education. They may be worried that all the cell phones, computers, and smart TVs in today’s environment are too distracting for young people. 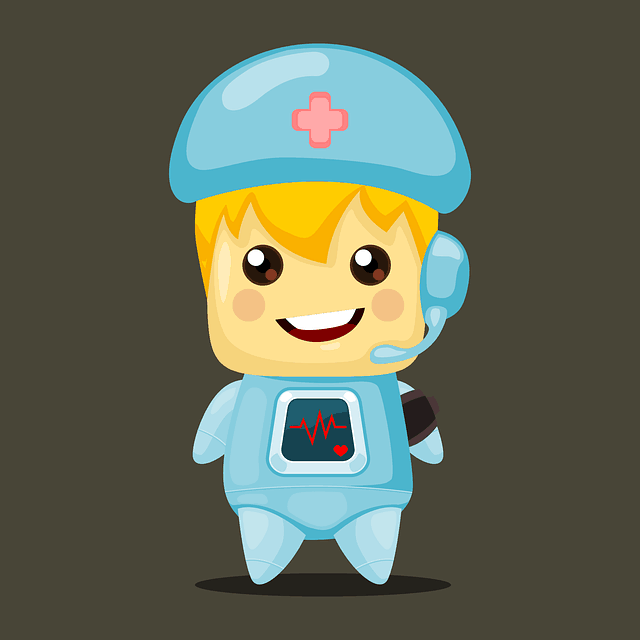 However, technology is a real part of children’s future careers. 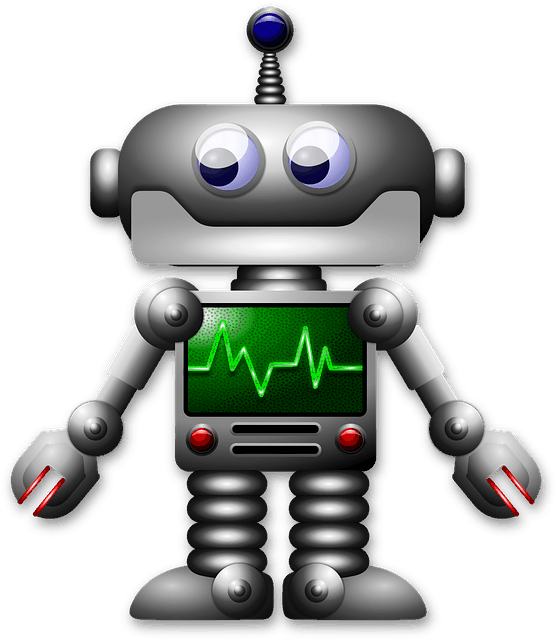 It can help kids learn any subject, especially when robotics are involved. More and more mom blogs are discussing the intersection of learning and technology, it seems like it’s the blogger’s choice as long as it’s relevant to their children’s education. There are even competitions sponsored by everyone from the government to colleges for children to really show off what they’ve learned. One example is the Robot Olympics and another one is the Robots 4 Us video challenge. No matter where you are, there’s a fun way for your kids to learn about STEM and STEAM — science, technology, engineering, art and math — in an educational, engaging way. One great place to start is by watching some videos and making robots at home. These fun, futuristic tutorials help kids learn how to make all kinds of things, like a motorized coloring machine, and more. If your kids really like at home projects and watching robotics videos, why not try an afterschool program or a summer camp. There are many options out there for any curious boy or girl of any age. One first step to take is to look up your state and school district on the Afterschool Alliance page to check out what’s available. Today’s technological options might seem a bit too new to those of us in the older generation, but they’re really not so scary. Kids can have fun and learn skills at the same time. The economy of the future is becoming more and more focused on technology and STEM skills. By getting your kids into robotics, whether it’s a summer camp, an after school program, or an at home project, you’re giving them a future edge not only in school, but in their career as well. And as a parent, you’ll also learn valuable skills for your own career, as well as having lots of good, clean, family fun. I don’t know about you but the end of the year brings two thoughts…well, three thoughts for me. One, CHRISTMAS!!!!! Two, fresh start on January 1st! And three, holy cow, what’s my money situation? Taxes are coming. 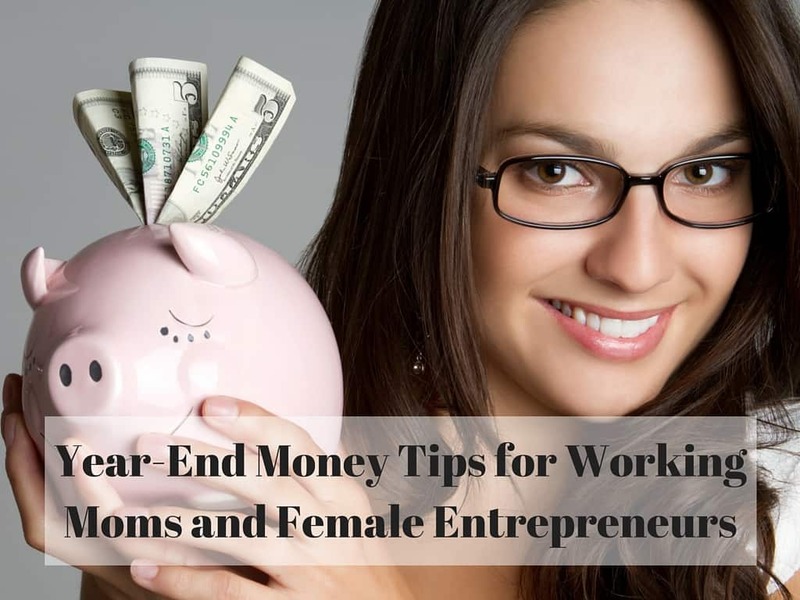 A big, big thank you to Kristen Robinson, SVP of Women and Young Investors at Fidelity Investments for taking the time to develop these year-end money tips for working moms and female entrepreneurs! Look into the different plans available to business owners, such as a 401(k) for Small Business, a self-employed 401(k), SEP IRA or SIMPLE IRA. You may need to appoint a plan administrator- someone who takes care of administrative responsibilities and ensures the plan is operating according to the Plan Document. Learn more about these different types of accounts here. Contribute to your account. The deadline for depositing employer profit-sharing contributions for the current calendar year is generally the business’ tax-filing deadline, plus extensions (for unincorporated businesses, this date is usually April 15 of the following year, plus any extensions). If you own a business, have you considered how best to plan for the future? If you plan to keep it in the family, consider creating a structure that makes it easier to transfer the business’s assets to other family members, such as a family limited partnership or a family limited liability company. There are many options; your attorney or tax adviser can help you select one that is appropriate for you in light of your specific situation. It’s important to have a full picture of the family financial situation. At minimum, know what accounts you have and with whom. That includes banks and investing accounts, life insurance, mortgages, and loans. Having a handle on this information is an important foundation as you plan for the future, and can bring greater peace of mind. Retirement is not a destination but a journey, and it’s never too early – or too late – to start putting away savings for the future. Along the way, there are myriad opportunities to get off the path—and back on it. And at virtually any turn in the road, there are possibilities to speed up your progress. Make it a goal to save 15% or more of your income each year. If that’s not reachable today, make sure to make it a priority to carve out what you can. Even smaller amounts will add up over time. Aim to have no more than 50% of your take-home pay go toward your “must-have” expenses. Try to Save Three to Six Months of Essential Expenses in an Emergency Fund. Knowing your financial personality can help you determine the right mix of stocks, bonds and short-term investments that match how comfortable you are with risk, and have the growth potential to meet your life’s needs, be that when you want to retire or when you want to send kids to college. If you’re not sure where to start, read up online, or reach out to a professional. There’s never a fee to come into Fidelity to talk to a financial planner, but we do recommend you reevaluate twice a year. Just like you take care of your physical health by visiting the doctor and dentist, think of this as taking care of your financial health, which is vitally important as well. In order to ensure that what you’ve accumulated is distributed to your children, family and causes you care about most, it is important to name beneficiaries and create a will and health care proxy. Yes, it can be uncomfortable to think about the ‘what it’s,’ but it’s important to be prepared for the unknown. Do you really want someone else making these decisions for you? I had the opportunity to chat with actress and working mom, Alyssa Milano, last week as she celebrated her new role as “Mom-Bassador” for the Sprout channel’s 10 year anniversary. 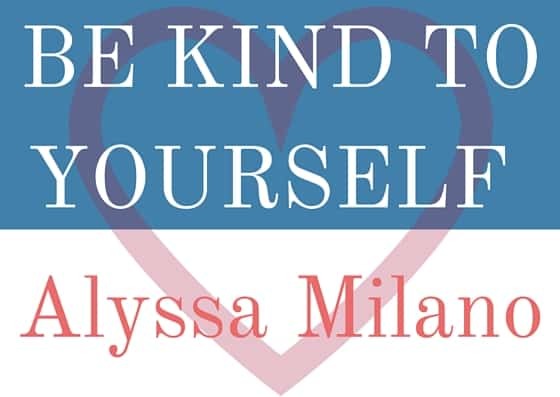 I had the opportunity to ask her a few questions about her life as a working mom and her answers always centered around one fundamental rule: Be Kind to Yourself. I thought this was especially powerful, because as mothers, we so often overlook self-care as we race around taking care of everyone else around us. Her words rang true as she reminded me that I can’t be my best mom if I’m not my best me. So what does motherhood look like for Alyssa Milano? You have to be able to shift and make changes, go with the flow! Just when you think you’ve got a routine down…there it goes. Having kids will always keep you guessing and send you moving in new directions into uncharted territory. Be flexible and allow yourself to embrace change. Don’t hold too firmly to what you think you know – Change will always be in process and something’s got to give in order to keep moving forward. You are a great mom and you are doing the best you can right now in this moment. Be kind to yourself, releasing the pressure to be perfect and releasing the guilt when you inevitably fall short of that unnatural expectation. You are a great mom. Alyssa Milano clings to two “must-haves” in her daily routine as a busy, working mom. This type of consistency helps her be her best self, which makes her the best mom that she can be for her children. By being kind to herself, she keeps her mental health sacred so that her children experience the best childhood possible. What are the two “must-haves” Alyssa Milano can’t live without? Break a sweat. She puts aside 45 minutes to an hour every day to get moving. Whether she goes to the gym for a workout or simply takes a walk, she focuses on taking care of her body and keeping a level head with some healthy movement each and every day. If she has busy weeks with jobs, meetings or events, she schedules it into her day like it’s part of her job or another appointment. It’s not optional. Keep the bedtime routine solid. The children go to bed at the same time every night. The routine is solid, it’s something they expect and she sticks closely to it. After 7:30PM each night, it’s time for her and her husband. Quality time that is kind to both of them, keeping their marriage strong and setting a solid example for their children in love and commitment. Carving out time for her husband with a regular routine makes sure that life as a busy working mom doesn’t accidentally let her marriage slip away. When was the last time you were kind to yourself? What simple changes can you make in your perspective as a busy, working mom to focus more on self-care and less on burn out? It’s encouraging to see working moms like Alyssa Milano step up to the plate to send a clear message to society – Being a mom means so much more than trying to be everything to everyone all the time. Being a mom means taking care with yourself, making sure you are equipped with the love and energy to pour into your family in a meaningful way. You’re doing a great job, mom. Yes, you! Go ahead, pat yourself on the back.